Donald Trump And Renewable Energy: Industry Remains Optimistic Amid Policy Outlook Despite the fossil fuel-friendly cabinet shaping up under President-elect Donald Trump, renewable energy companies aren't as pessimistic as you might think. They say market forces are on their side. About a quarter of California's electricity comes from renewable sources, like this wind farm outside San Diego. President-elect Donald Trump has appointed several Cabinet members with strong ties to oil and gas. And he's been clear about his support for coal. That could leave renewable energy companies out in the cold. But the picture isn't as dire for them as you might think. "I know a lot about solar — I love solar," Trump said at a campaign rally in California last summer. "Except there's a problem with it. It's got a lot of problems with it. One problem is it's so expensive." That's probably enough to make most solar company executives break out in a sweat. But not Michael Wheeler at Recurrent Energy. "We're feeling as though we're going to be OK," he says. Wheeler looks genuinely calm as he says this in his San Francisco office, which has big photos of the solar farms his company builds. And the reason why: he says Trump is wrong. "Anybody who thinks that solar is expensive at the utility scale right now hasn't seen the latest," Wheeler says. "Solar's price, because it's a technology, will continue to go lower and lower." Power from big solar projects is about 70 percent cheaper today than it was a decade ago. Wind power has also come down. That has electric utilities choosing renewables on cost alone, even in red states like Texas and Georgia. "Clean energy is not a niche product anymore," Wheeler says. Not to mention, the Trump administration might open public lands up for development. Environmentalists don't like that but it could make it easier for solar and wind companies to build projects. But there are few things that Wheeler and other renewable companies are worried about. For one, they rely on longstanding tax credits. They were extended in Congress last December. But Trump has complained about those subsidies. Wheeler says canceling them could hurt demand for solar and wind, but wouldn't kill it. The other big issue is Obama's climate change policy, known as the Clean Power Plan, which would require states to move away from coal power. Wheeler says that would have quadrupled the market for renewables, but Trump has vowed to toss it out. "To have that be messaged as being dead was pretty heart-wrenching," Wheeler says. Still, the federal government isn't the only place policy gets made. Dan Kammen, an energy professor at UC Berkeley, says sometimes a hostile White House can energize regional efforts. "I think there's no question states are going to be critical," he says. "Just like under President George Bush, we saw tremendous action at the state level." California is all in on renewables. 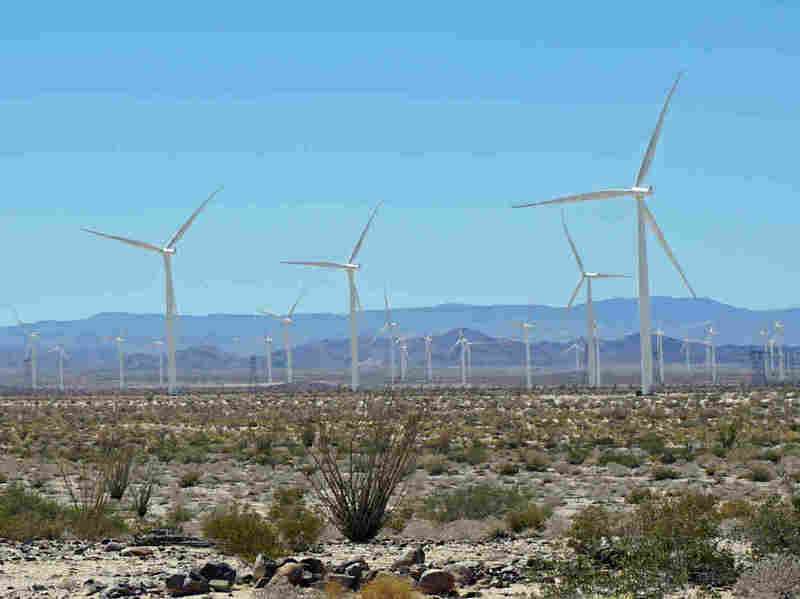 State law requires 50 percent renewable energy by 2030. And 28 other states also have goals, most of which are likely to stick around even if the Clean Power Plan goes away. Kammen says that means the renewable energy market has momentum. It's only a question of how much. "An administration can dramatically put its finger on the scale and accelerate that or they can hold it back," he says. In the meantime, demand for renewables is growing worldwide. Kammen was recently in Dubai, where solar farms are being planned at record-low costs — a sign to him that renewables are here to stay, no matter what the next administration does.